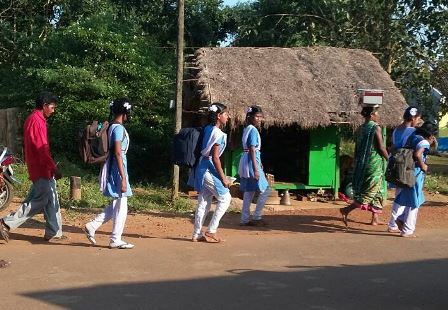 Koraput: At least 92 students of Kasturba Gandhi Girls School in Kundura of the tribal dominated district left their hostel complaining about regular harassment by their hostel warden on November 20. As per reports, the students had brought harassment charges against the hostel warden several times in the past and demanded action against the matron. They even had complained about it to the hostel managing committee and the school authorities. However, as no action was taken against the matron, the students finding no other means informed their parents, following which, a meeting was held on November 20 in the presence of the District Project Coordinator (DPC) and hostel authorities. Both the parents and students placed their demands to oust the hostel warden in the meeting. However, as their demands were not addressed, the minor students left the hostel in protest. Meanwhile, the local administration said that the problem will be resolved at the earliest and the students will be brought back to the hostel.